In an era when disk space is measured in terabytes, some people still try to optimize programs for size. 4KB intro developers combine digital artistry and technical ingenuity to bring to life productions full of graphics and music, all wrapped into a program measuring in at only 4 KB or less. In this dynamic presentation, BarZoule and Polaris will discuss the art and the science of creating 4kb intros. The audience will get a one of a kind behind the scenes view as we journey through the creation of the 4kb intro W4K3D, winner of @Party 2012. Each speaker brings their own perspective to the creation process, to give you a true sense of the various aspects of intro conception, design, creation and realization. Not to be missed by people who enjoy unusual technical feats of beauty. Having started making games at the age of 15, Beausoleil quickly learned any new skill set as required. Strong believer in DYI and self-teaching, he's now a game designer during the day, and makes demos at night. Demomaking allows him to play with any tech area he likes. From fitting a drum'n'bass music in a couple of bytes, to 3d modeling or coding software renderer for ASCII output. He also runs the annual Text Mode Demo Competition and the Recursion demoparty in Montréal. Polaris is the founder, organizer and a coder for the Northern Dragons demo-group. Since 2001 the group has created demos, and intros and more for events all over the world. In 2005, Polaris co-founded the web portal “in4k” which remains one of the top go to technical resources for 4k intro development. Realtime renderers find many important visual effects - such as reflections, refractions and global illumination - complicated, slow or impossible because they rely on ray tracing. These effects are necessary to approach the quality of an offline production render. While offline raytracers move to GPU and begin to approach "interactive" performance in the right situation, they are still not truely realtime - coping with ever-changing, moving scenes, lights and cameras, and producing a whole frame at final quality 30 times a second. This talk discusses a GPU raytracer that is focused on realtime applications throughout - the data structures, optimisation for GPU compute, and the tricks and shortcuts used to achieve real time performance and some great visual effects. 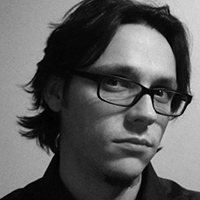 Matt has a background in graphics programming in both the demoscene and the games industry. 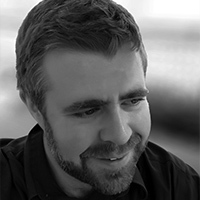 He spent 8 years in Sony Computer Entertainment's R&D group researching innovative graphics techniques on games consoles, and worked on every Sony console from Playstation 2 onwards. After moving into the live visuals world, he now works at D3 Technologies and his own production company Run Things. As a part of the legendary demogroup Fairlight he's been responsible for a number of award-winning demoscene productions, and has won more Scene.org awards than anyone else. Since the very beginning of computer graphics and the demoscene, using hardware in ways their designers didn't intend has been at the core of making cool stuff. Nowadays, one might immediately think of all the purposes for which GPUs are used, but the theme goes back to the origins of the field. We'll talk about a few machines from the early years of home computing that squeezed impressive graphics abilities from very simple hardware designs and some of the ways demo hackers squeezed still more. Case studies will be drawn from the huge retro hardware collection our demo group maintains. We will also cover a few more modern examples from the Maker movement. Dr. Dille is a Sr. Computer Scientist at SGT/NASA Ames Research Center, where he works on prototype planetary exploration rovers. In his spare time, he tinkers with FPGA-based hardware to emit HDMI from classic 80s home computers. Mr. Kozel is an embedded systems engineer currently finishing a Masters at Carnegie Mellon University Silicon Valley with an interest in high performance code and radio systems. Both are core members of cmucc, an American demo group that sports several first place compo entries and organizes the Demosplash party at Carnegie Mellon University in Pittsburgh, Pennsylvania. VR is finally here despite all the hard years of birthing pains and problems along the way. Now that the hardware is up to the task, the real challenge lies in the VR software experiences. What does this mean for digital artists? How could we build meaningful immersive virtual realities for a single person to experience in the realm of digital art? What about getting rid of that ugly HDMI cable to the PC? This presentation introduces some ideas for interaction and exploration of a VR art piece, and outlines the technological requirements for a believable VR experience in the rendering and audio side of things. The presentation also touches on the latest advancements of AR technology and how it can be harnessed for similar uses. 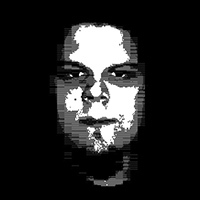 Known in the demoscene as visy, Visa-Valtteri has experimented with demo art since 2001 and he has been interested in the artistic possibilities of computers since laying his eyes on the Commodore 64. 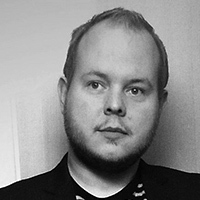 Working with Trilobit and Bilotrip, he is best known from demos for 8-bit devices such as Nintendo NES and Atari 2600 and has been homebrewing everything from games to glitchfests on all kinds of imaginable computer and console platforms. 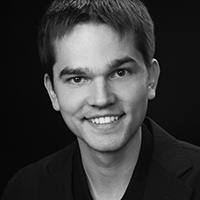 Professionally he's worked on game tech and mobile apps for companies like SCEE, Samsung and Remedy among others. He is a passionate gamer and helps run the indie game studio Hyperspace Yard. This talk will present practical techniques to improve productivity and foster the creativity of the demo-making process as well as performance optimization tips. The main mantra is to reduce complexity and use simple solutions rather than over-engineering when faced with practical problems. Hands-on code snippets will be used to illustrate how shorter turnaround times for asset tweaking can be achieved, rendering performance improved and engine architecture simplified. Less complexity, simpler code - more impact! Since first experiencing early Amiga demos in the 1990s, Armin became hooked to the wonderful world of graphics programming. He started his demoscene activities in 1997, when texture mapping was all the rage. After finishing university in 2006, he worked at NEC R&D in the area of multicore technology and graphics rendering techniques. Currently he works at Bytec as a senior software engineer for medical devices where he needs to make sure his code doesn't crash during eye surgery. My work over the last few years has trended towards three main categories: Flocking Simulations, Terrain Engines, and Astronomical Visualizations. Additionally, I strive for real-time so most of my work can be experienced with peripherals like the Oculus Rift VR headset or the LEAP Motion Controller. I will showcase a few of these projects and explain some of the methodology and creative influences that helped shape the end result. I will show no code, but I hope to inspire. 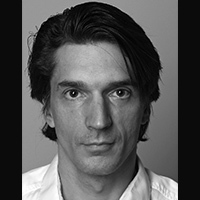 Robert is a co-creator of the Cinder C++ framework and was a founding partner of the Barbarian Group. He also worked with Bloom to create the Planetary app which was the first code acquisition by the Smithsonian Cooper-Hewitt National Design Museum. He works primarily in C++, OpenGL, and GLSL. His coding style has been described as "sloppy" and "tightly coupled" but he still manages to create beautiful work if he does say so himself. Which he does. Often. Since 2011, Outracks Technologies has been developing two unique pieces of technology: a new programming language ("Uno") and a toolsuite ("Realtime Studio"). Both have been designed to bring wow-factor, productivity and unparalleled portability to mainstream app development on mobile, the web and native platforms - with a special focus on graphics programming. Uno unites graphics code and logic code into a single high-level language, and this talk is an introduction to Realtime Studio and its benefits for developers and artists alike. Bent Stamnes has been involved with real-time graphics since he became a demoscener in 1989. 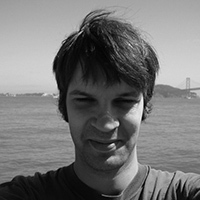 He has served as senior editor for the digital magazine ZINE, and is the founder of the cross-platform digital creation community Displayhack.org, as well as the co-author of the book "Demoscene: The Art of Real-Time". 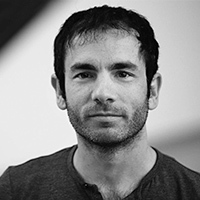 He has been a featured speaker on real-time graphics and the demoscene at the FMX conference on Animation, Effects, Games and Interactive Media since 2005, and at other conferences such as FITC Amsterdam and Toronto. The demoscene has a lot to do about fighting limitations, either platform-related or artificial and self-imposed ones. Under the constraints of such limitations, it is not surprise that we reach for novel ways of thinking and solving problems. There is great value in these unexpected benefits and possibilities. In this talk we will visit some such recently uncovered treasures and have fun torturing them mathematically and hacking them though live coding in order to create beautiful visuals. Inigo Quilez grew up as a teenager enjoying mountains, snow, sea and nature, but also programming fractals, graphics algorithms and all sort of visual experiments. At the age of 18, right upon the discovery of the underground community called "the demoscene" and the potential of using code and maths to build beauty, he decided to focus all of his work and time into the creative side of computer graphics. 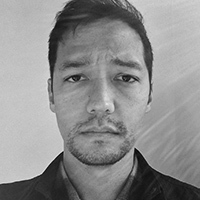 After having finished his degree in Telecom Engineering, and having worked professionally in virtual reality and real-time rendering of massive data sets in Belgium for many years, he now works at Pixar Animation Studios in California doing what he likes the most: inventing techniques and formulas, painting, drawing and creating procedural imagery and animation. In his spare time Inigo continues doing computer graphics, both in and out of the demoscene. One such effort has been the website Shadertoy, of which he is the co-founder. Demosceners are no strangers to Procedural Generation. In the early days computing resources were very limited, and Procedural Generation algorithms provided ways to generate complex and entrancing graphical constructs, going beyond simple disk space or memory limitations. With the mobile revolution upon us, we now all have extremely powerful computers that fit in our pockets. But oddly, we are now faced with new limitations, in the form of bandwith, storage space, etc. Procedural generation allow us to take simple seeds, and with the right algorithm turn them into massive universes to explore. This talk will focus on Procedural Content Generation techniques, and how to use them in concert with OpenGL ES Shaders to maximum effect. Note: This talk will be using the NVidia Shield and Tegra tools suite for it's example code, but could be of interest to anyone new to Procedural Content Generation and Shaders. 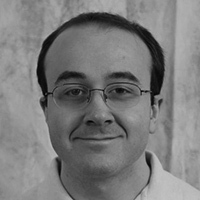 An active member of the North American demoscene in the 90s, Etienne was a main organizer for the NAID Demoparties (95/96). 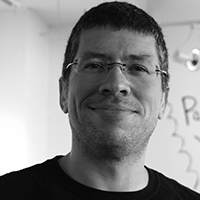 Now the Android lead developer for PasswordBox.com, Etienne is also the current lead of GDG Montreal-Android. GDGs are independent, Google backed developer groups. Simulation and rendering of the fluid flow at interactive frame rates is a challenging task. It requires algorithmic optimization, compromises on physics and a proper choice of the numerical model. I will discuss these points with focus on two techniques useful in games and demos: animation aerodynamics for simplified Navier-Stokes equations and the Lattice Boltzmann Method. Recent projects based on compute shaders will be presented. Maciej has been a scientist working for many years on the fluid flow through porous media and the fluid flow in computer graphics. He implemented and experimented with many solvers for the Navier-Stokes equations i.e. the marker-and-cell method, the Lattice Boltzmann method, Smoothed Particles and used these techniques in demos: the tree effect in Crush (1st demo at Breakpoint), the river flow in Bremen (3rd intro at Breakpoint) and the main theme in Pord Tuo (3rd demo at Revision). A technique for realtime (above 60fps) procedural generation and rendering of multiple large-scale planets using common average PC hardware is presented. The described technique allows for very small executables (below 64kb) with highly detailed multiple star systems with orbiting procedural planetary landscapes, including fully automatic LOD, slope-based spherical terrain, water system, atmospheric scattering, realistic day-night cycles, collision detection, plus translating and rotating planets with gravity. Vander has been working as a Games and Virtual Reality programmer for a large part of his life, also having a great appreciation for the Demoscene. Through his experience in the demoscene, education as an architect, and day job as a designer, Pixtur has assembled a basket of easy-to-understand and easy-to-implement rules of thumb for creating better design – with or without programming. He will cover a wide range of topics like ideation, concept, colors, composition, editing and animation – all illustrated with examples from the demoscene. Pixtur has been playing around with code and design for almost three decades (but he feels much younger). 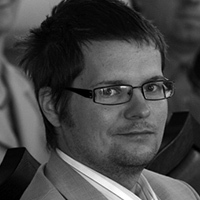 As a member of demoscene groups such as Still, Bauknecht, and Haujobb he's won several competitions and awards in a variety of categories. 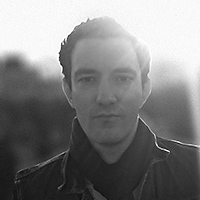 Recently he and two other demosceners founded Framefield, a small Berlin-based agency for interactive realtime graphics. 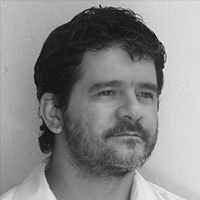 This talk will take the audience 25 years back in time to the childhood of real-time graphics. We will take a technical dive into the Amiga graphics hardware to discover how a machine of such modest computational power could produce such amazing graphical effects for its time. We will look at several classical demo effects and discuss how they were achieved. 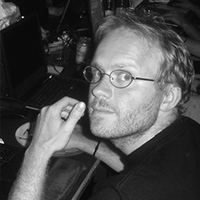 Aske Simon Christensen has been coding demo effects on the Amiga since 1992 and on the PC since 2005. He has a strong fascination of size-limited demos and is one of the authors of the Crinkler compression tool, which is widely used in the demoscene for compressing 4-kilobyte intros. Professionally, he has a PhD in computer science and has worked for ARM building the shader compiler for the ARM Mali series of GPUs. He is currently employed in the bioinformatics industry.